At Superior Replacement Windows in Goodyear AZ, we take our window glazing seriously. Our commercial, residential and specialty glass services are a cut above the rest in terms of quality and customer service. We firmly believe in providing our clients with integrity from start to finish. Each glass project our team undertakes is completed in record time and with minimal fuss. Whether you need a glass shower door replaced, commercial glass needs a face-lift, or your windows need repairs, we will send in our professional glaziers as soon as we get a call. 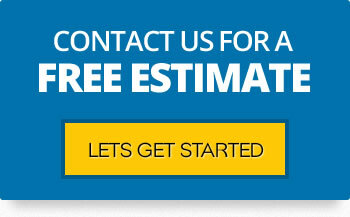 We take the time to inspect the damage and prepare a free estimate, giving our clients the final say over the job. With traditional family principles in play, clients find our highly professional attitude and dedication are incomparable. We take pride in our ability to provide a top notch same-day mobile installation service. No matter how difficult the job, our technicians are always prepared to drive out to residential and commercial properties with every intention of completing the project on the same day. 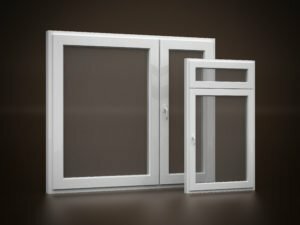 We Supply and Install Windows Guaranteed! Superior Replacement Windows has been providing the residents and building owners of Goodyear with the kind of glass installation services they can trust. A city that once claimed the All-America City Award deserves to have star quality companies backing its good name. We aim to be one of those companies. In order to achieve 100% client satisfaction with every window replacement project, we only work with glass that passes the stringent design and construction guidelines and standards. Whenever possible we favor original manufacturer’s window glass. Window glass replacement is a highly specialized trade and should only be performed by experienced glaziers. We aim to reach high standards to ensure our clients are more than pleased with their window repair or installation from Superior Replacement Windows in Goodyear, AZ. Goodyear is a city in Maricopa County, AZ which receives sunshine for almost 300 days in a year. There is everything to keep you excited in Goodyear. Established in 1917, Goodyear was about 16,000 acres of land purchased by Goodyear Tire and Rubber Company. Hence, the name. They cultivated cotton for the purpose of vehicle tire threads. • Cleveland Indians and Cincinnati Reds of MLB train during spring in the Goodyear ballpark. • The total population is 65,275 as of 2010 census while being only 17 miles west of downtown Phoenix. • Goodyear is one of the few cities in Arizona desert with a river running right down the middle. The Gila River. • There are many elementary, middle and high schools to choose from. Franklin Pierce University is here since 2008 offering many programs and doctorates. • Connected conveniently by air, rail and road with an interchange on Interstate 10. • The major employers in Goodyear, AZ are Bank of America, Wells Fargo, Wal-mart, and City of Phoenix, Arizona State University etc. There are many wonderful things to do and see while in Goodyear. The city is situated conveniently near Avondale, Tolleson, Litchfield Park and Buckeye. Goodyear has a North Lake if you like water fun and 4 Golf clubs to choose from. There are many bars and malls if you are feeling civilized. You could also take one of the many off-road tours or a walk in Estrella Mountain Regional Park. Estrella Star Tower is a must see with man-made waterfalls and hiking trails. As the Valley expands westward, Superior Replacement Windows also expects to grow with the city of Goodyear.